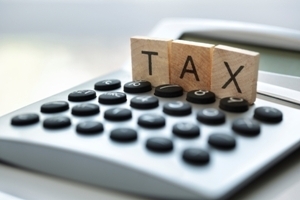 Introduction of a capital gains tax still looks likely but wealth taxes and land taxes are not on the cards, the Tax Working Group’s interim report reveals. The TWG was set up by the Government to advise on wide ranging tax reforms but public attention has been firmly fixed on whether or not it will recommend a capital gains tax on residential property. It’s a big issue for investors because while the Government says the family home would be exempt from any capital gains tax, investment properties would not be. The interim report, which was released today, makes it clear that the TWG believes capital income – gains from the sale of capital assets like property – is taxed inconsistently and that this situation needed to be rectified. It lays out two potential options for extending capital income taxation. These are extending the tax net to include gains on assets that are not already taxed and taxing deemed returns from certain assets. But it also reveals the TWG is still forming its views on the best approach towards extending the taxation of capital income. TWG chair Sir Michael Cullen says extending the taxation of capital income will have a range of advantages and disadvantages. “It will improve the fairness and integrity of the tax system; it will improve the sustainability of the revenue base; and it will level the playing field between different types of investments. While they have made good progress in setting out the main choices and options, there is still a great deal of work to do before they provide their final report in February, Cullen says. This means that – as yet – the TWG hasn’t come to a firm decision on what form a capital gains tax might take, but the odds that a capital gains tax is coming are high. However, the interim report states that the introduction of wealth taxes or land taxes will not be recommended. Cullen adds that any extension of capital income taxation would apply from a future date and would not have a retrospective element. As a point of interest, the interim report also reveals the TWG believes that tax has not played a large role in the current state of housing market and is unlikely to play a large role in fixing it. Despite this, the TWG’s forthcoming work will include consideration of the housing market impacts of the options for extending capital income taxation. The TWG will be releasing its recommendations on the taxation of capital income in its final report which is due in February 2019. Any taxes changes proposed by the working group will not be implemented until the 2021 tax year, giving voters the chance to have their say on them in the 2020 election. The TWG’s interim report can be read here.